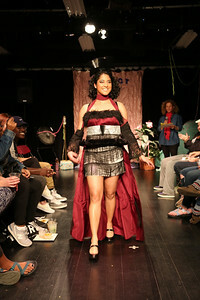 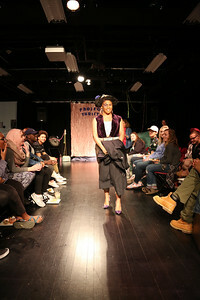 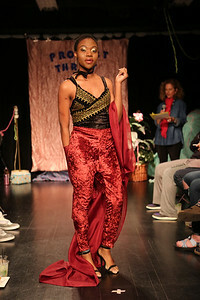 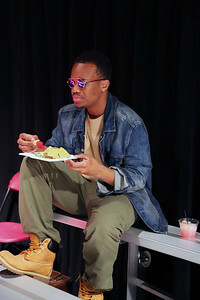 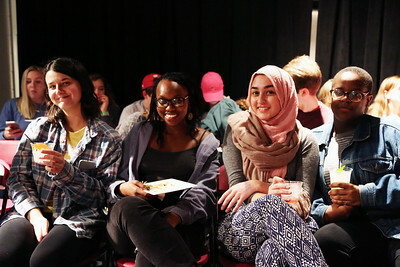 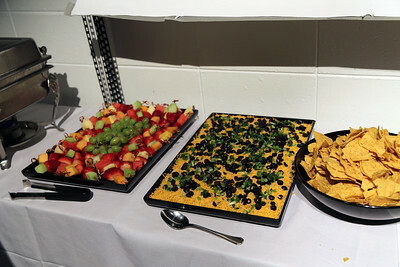 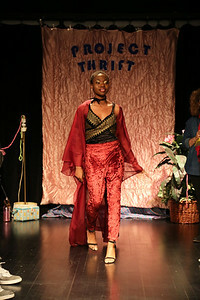 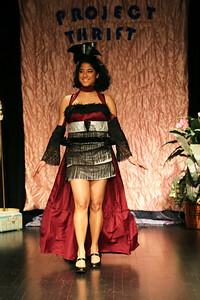 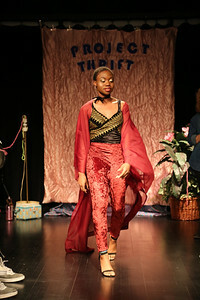 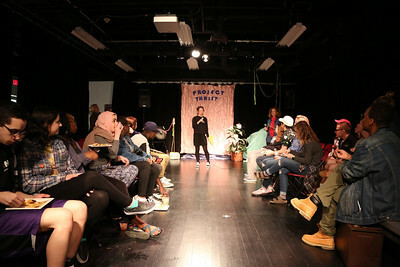 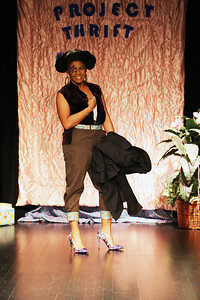 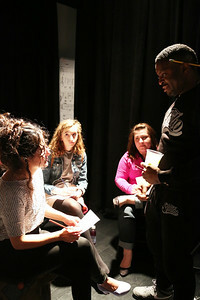 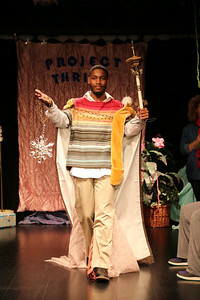 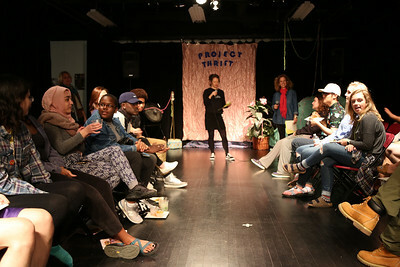 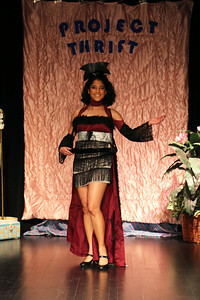 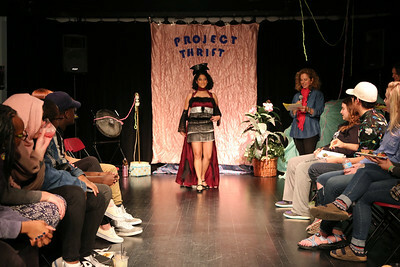 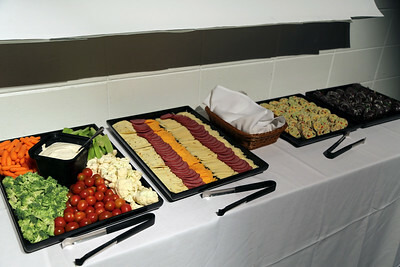 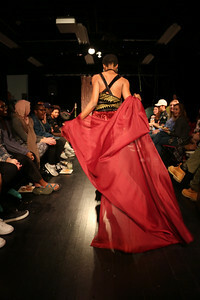 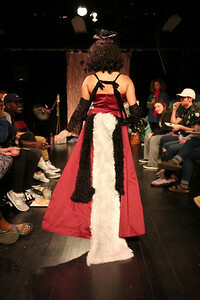 Designer teams showcased their creations in a fashion show in the Blackbox Theatre. 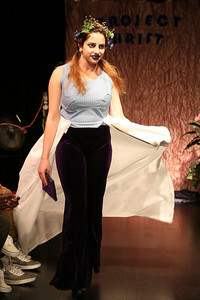 Studio residents will also performed a dance piece while judges deliberated the winning entry. 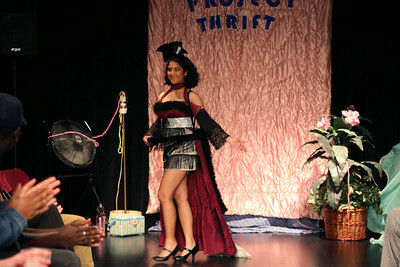 All students did a fabulous job and took the phrase, "Make it work!" 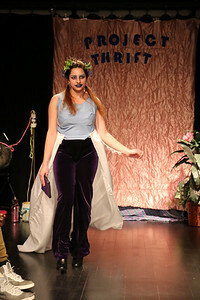 to heart. 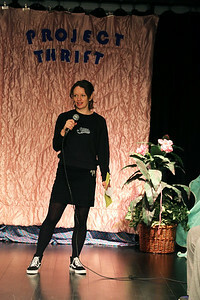 Program coordinator Marina Kelly gets things started.